Find the probate real estate and get the listing. Many real estate agents think that all they have to do is get probate leads. It’s not just about the leads. Prospecting for probate real estate is so much more than leads. 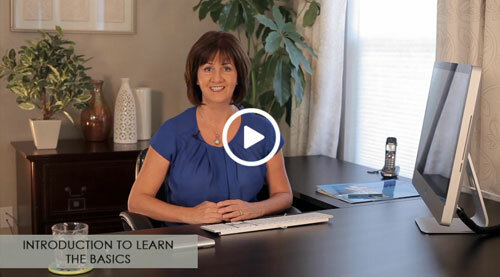 In these video lessons I explain how I find and qualify leads. Then I explain how my team and I follow very specific, systematic action plans. We use the action plans to establish relationships. Relationships with the probate attorney and the probate personal representative are necessary to growing your business. I explain what I do to prepare for that all-important 90 Minute Consultation. Once I meet with the personal representative I show them I am the expert in probate real estate. Consequently, I almost always get that signed exclusive probate listing. There are lots of people out there who want to sell you probate leads in your area. The videos below explain how I find probate real estate leads. Then I show how I qualify the probate real estate for my business objectives. The videos below show first how I set up my attorney record. Then I present each of the steps in the Attorney Action Plan. I give supporting information on what happens with each step and why I do them. All of the Action Plans that I provide in this training have been developed over years of trial and error. Over time I have refined the plans to remove unnecessary steps that didn’t produce the results I wanted. These videos cover what my team and I do to set up the probate estate record in preparation for working the Estate Action Plan. Then the video Follow the Estate Action Plan presents each of the steps in the Estate plan and gives supporting information on what is involved with each of the steps and why I do them. The 90 minute consultation is where I really sell myself and my services. In this lesson I share with you my underlying philosophy and approach when talking with the Personal Representative. My goal is to get that 90 minute consultation appointment. The Prior to 90 Minute Consultation Action Plan covers the things I do to prepare for the initial 90 minute consultation. I explain the questions I ask the personal representative so I am more prepared for the meeting. You can find the materials in the Estate Consultation Package that I give away to the personal representative here Give-aways. My personality, my values, and my work ethic are on display during this all important meeting. In many cases when the personal representative is out of this area, this meeting may be the only time I spend with them face-to-face. So first impressions are crucial. I explain what I do when I first walk in the door, how I check out the property with the personal representative, how and why I make my presentation to get them to sign with me, and the rationale I use for finding the best listing price for this client. In these videos I have identified the listing and disclosure documents that are specifically for probate. A couple of the documents in this section are also used for regular real estate transactions, but I included them here because I use them in a specific way with probate. These are all California Association of Realtors documents. The following videos explain the rest of the documents that I use when I am getting the listing. They are not particularly about probate, but I have included them with a little information for anyone interested in how I use these documents. These are all California Association of Realtors documents.